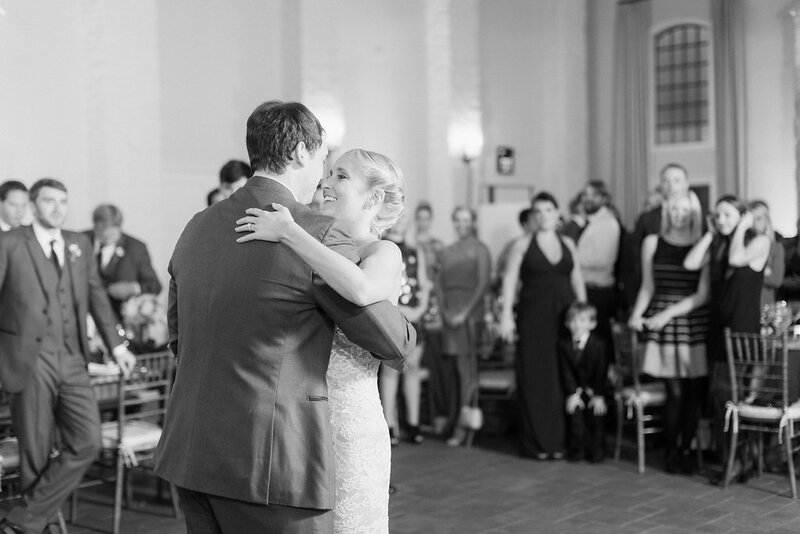 Petar and Rebecca’s love story began as work colleagues when they worked at McFadden’s Bar in downtown DC over 7 years ago. 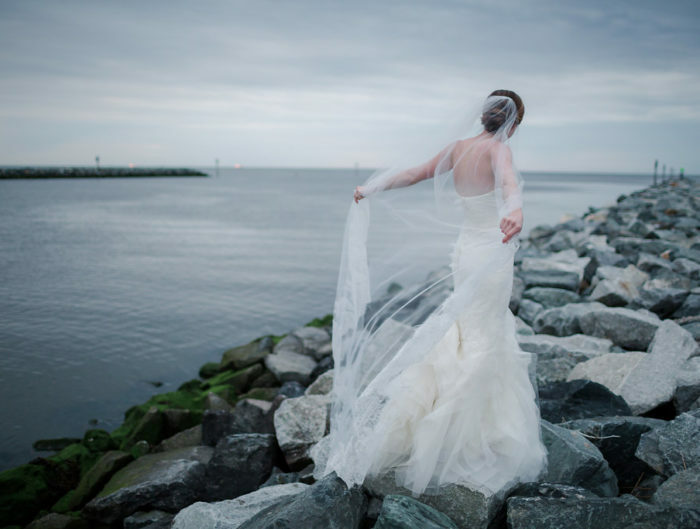 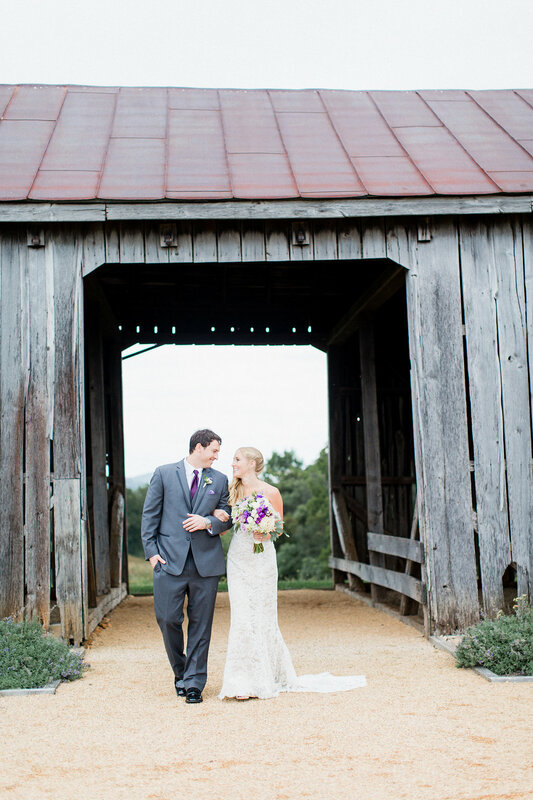 He had just moved to the DC area from South Carolina, and the bride decided to put down roots in the city after attending the University of Maryland. 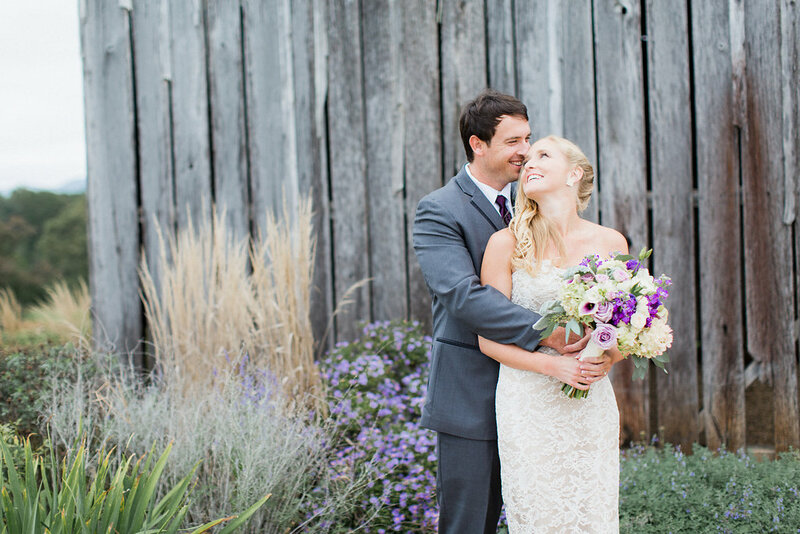 Ever since their courtship began they have been pretty much inseparable! 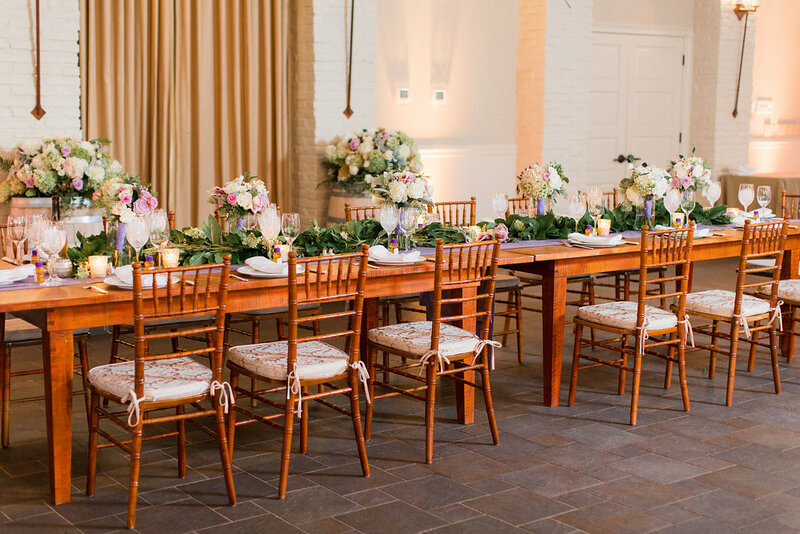 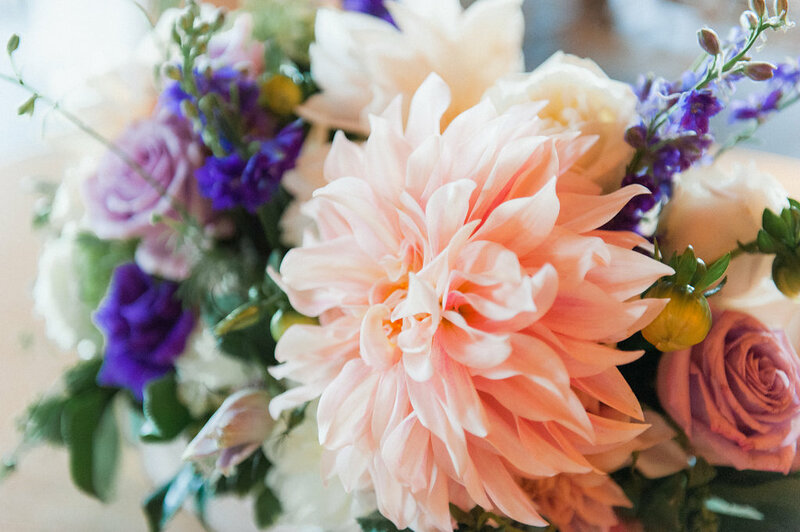 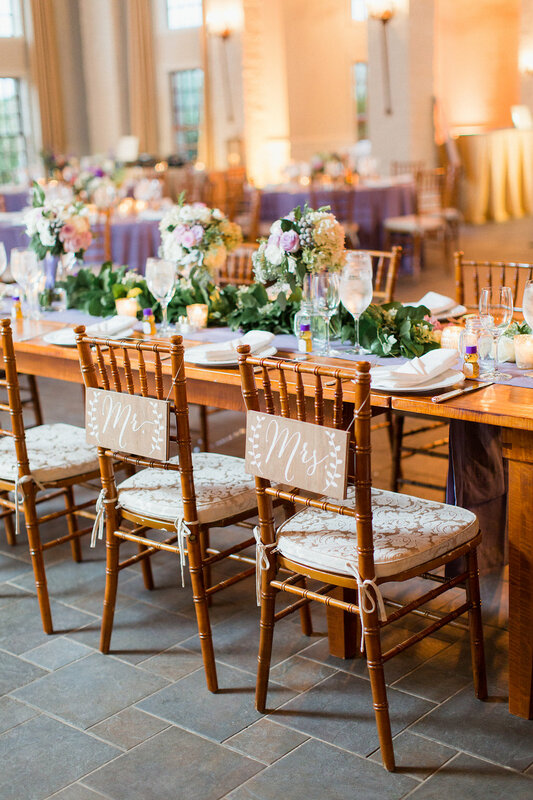 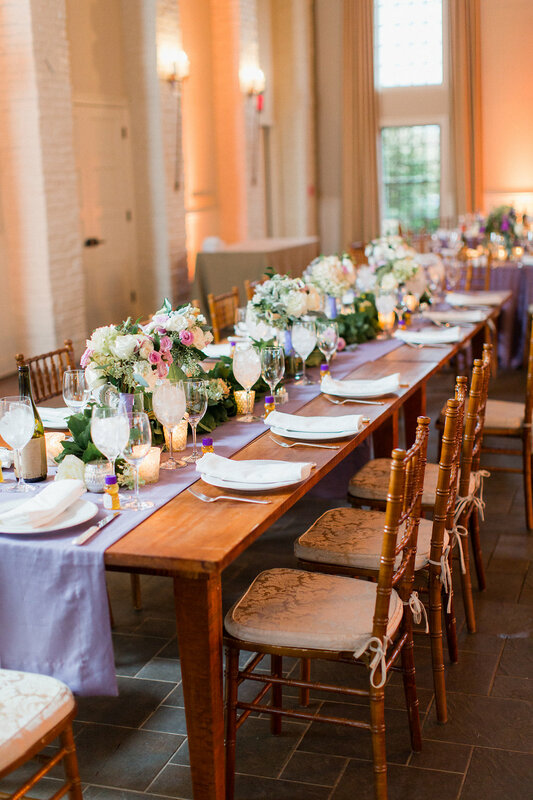 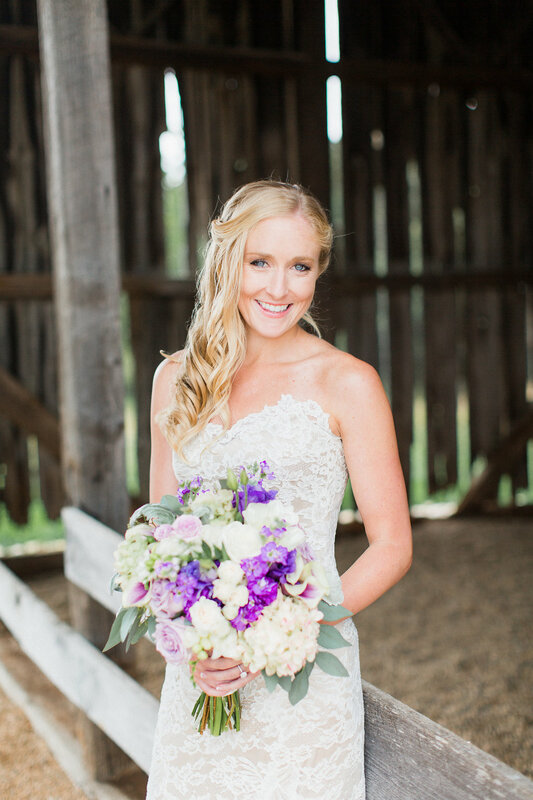 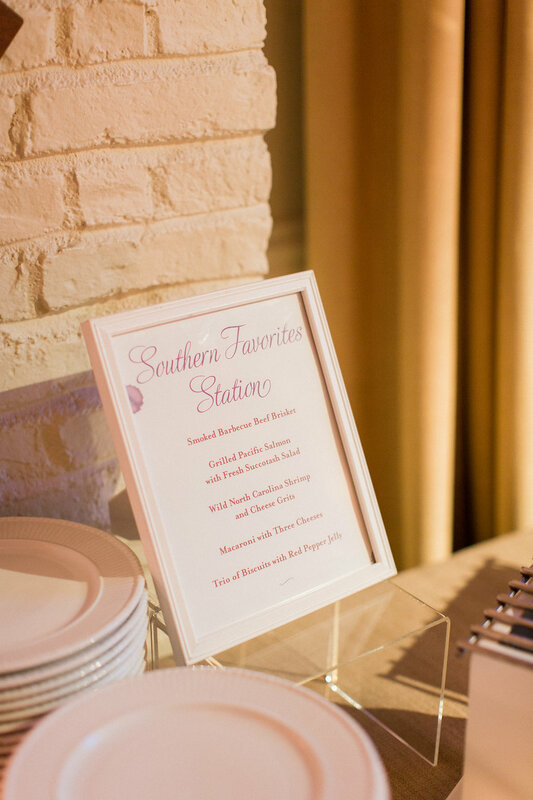 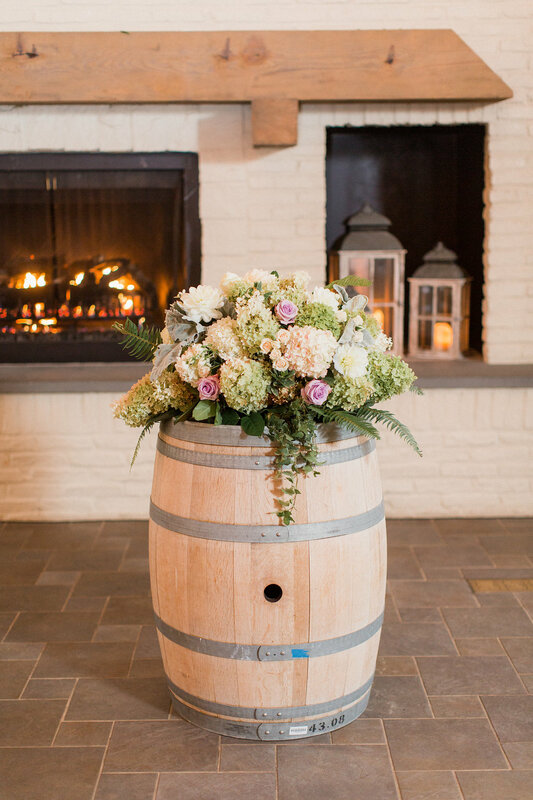 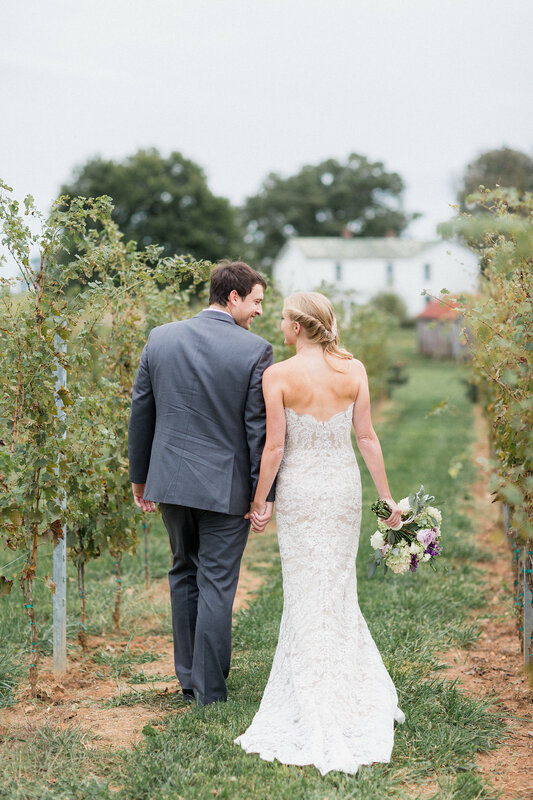 They wanted to bring a little of the groom’s southern charm to a Virginia vineyard wedding location as well as making it as comfortable and enjoyable to their guests as possible. 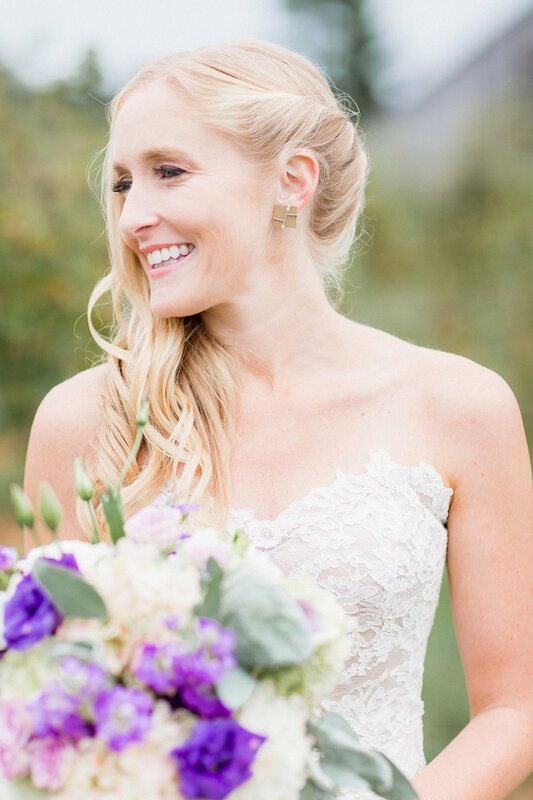 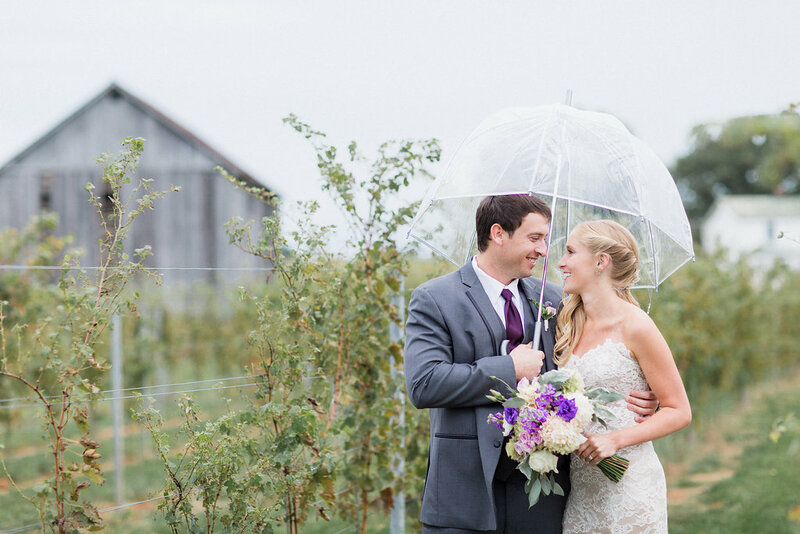 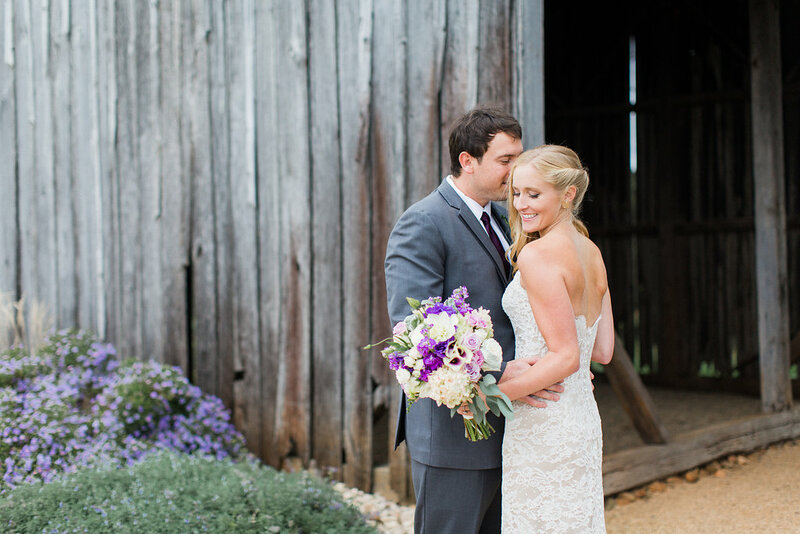 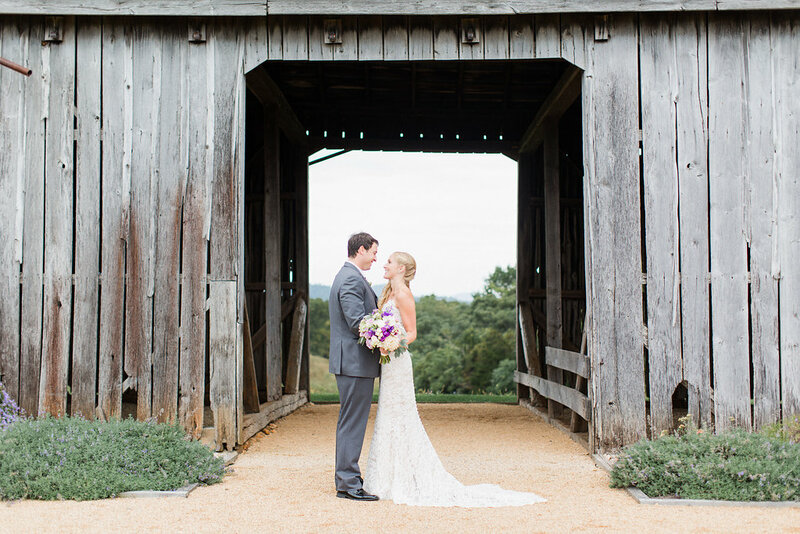 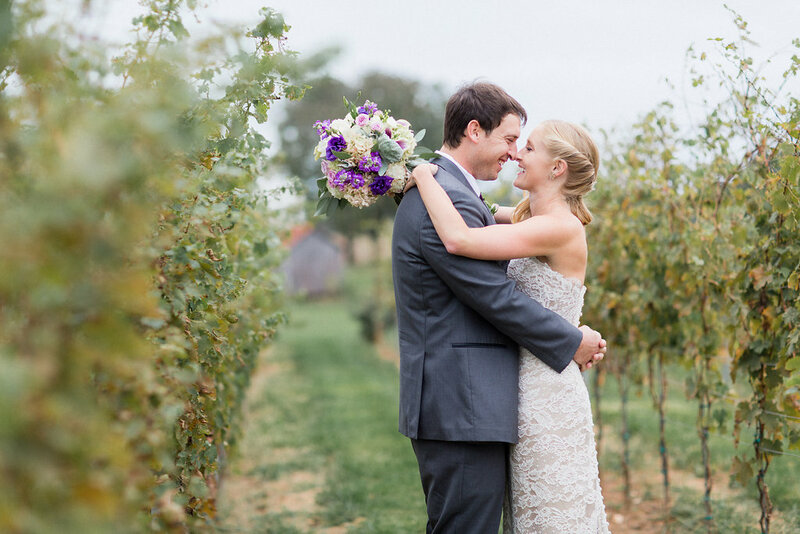 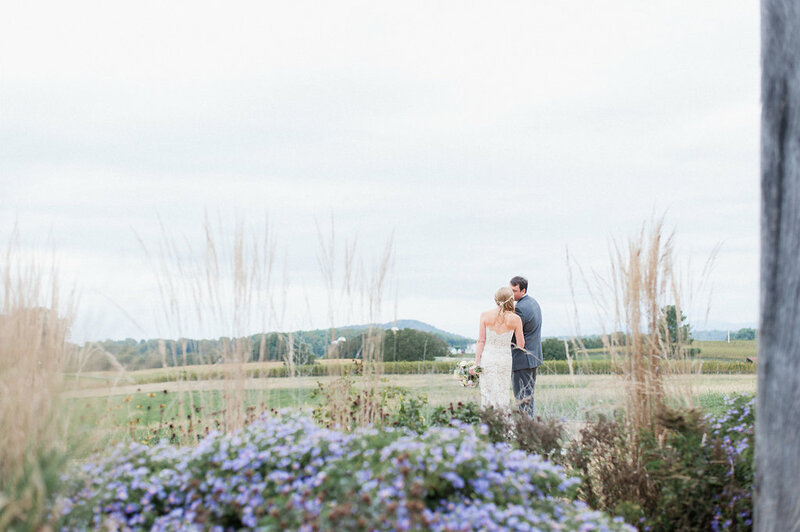 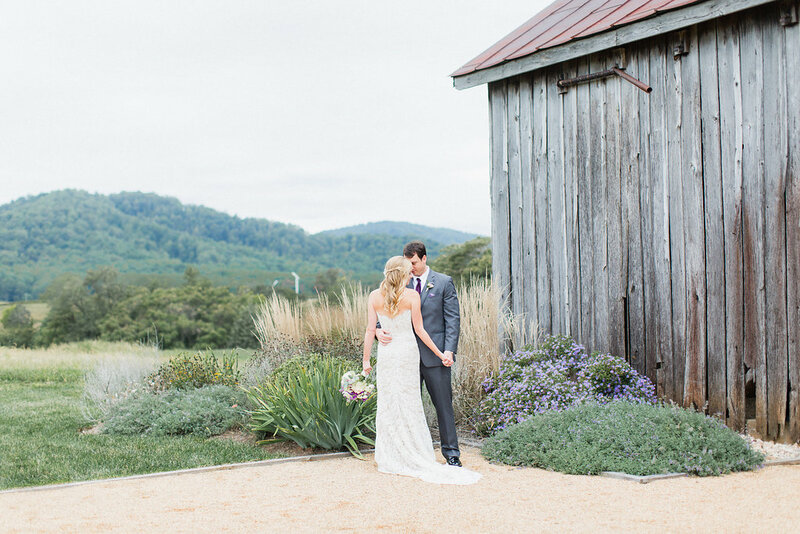 The couple fell in love with Early Mountain Vineyard in Charlottesville as soon as they saw it. 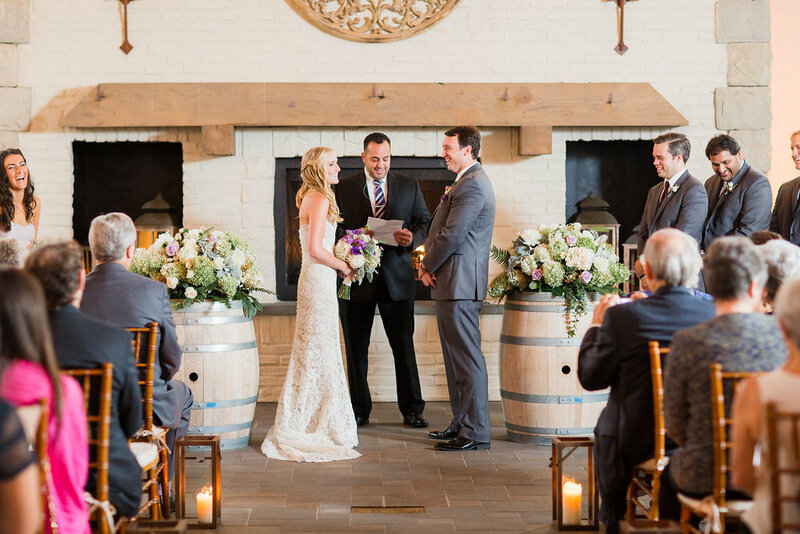 One thing that really stood out to them was that they could have a beautiful ceremony location either using their indoor or outdoor garden space, which came into play given the wedding day weather plans! 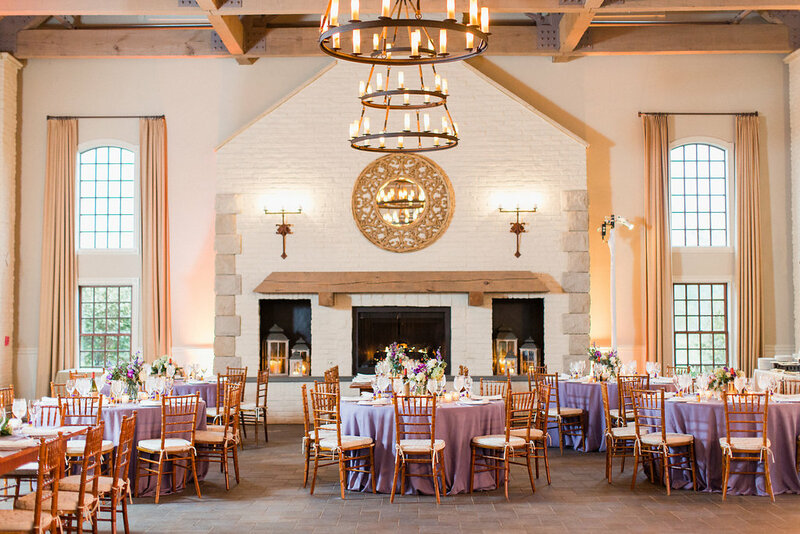 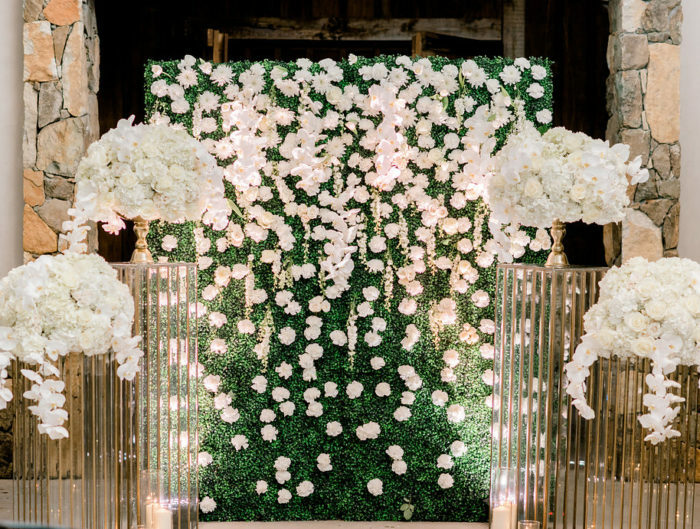 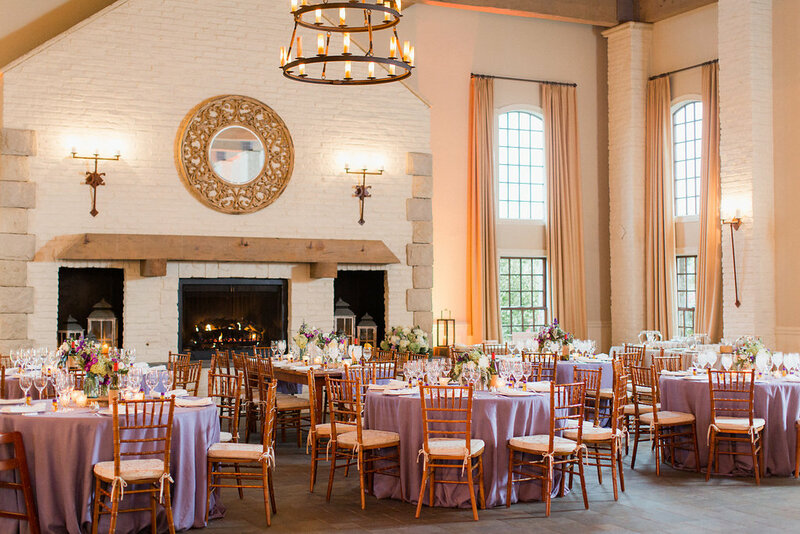 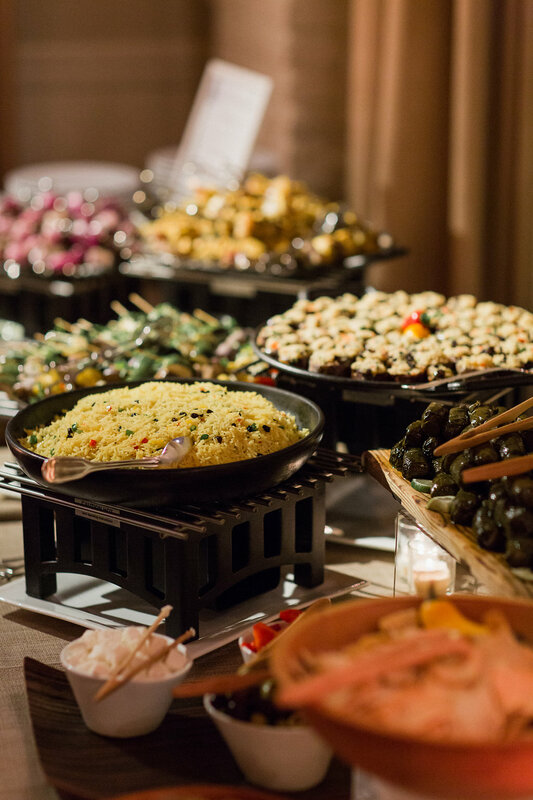 They had a friend officiate the ceremony, incorporated a variety of unique food stations for a more casual dinner, and infused a rustic chic decor element to the reception to keep the day feeling personal. 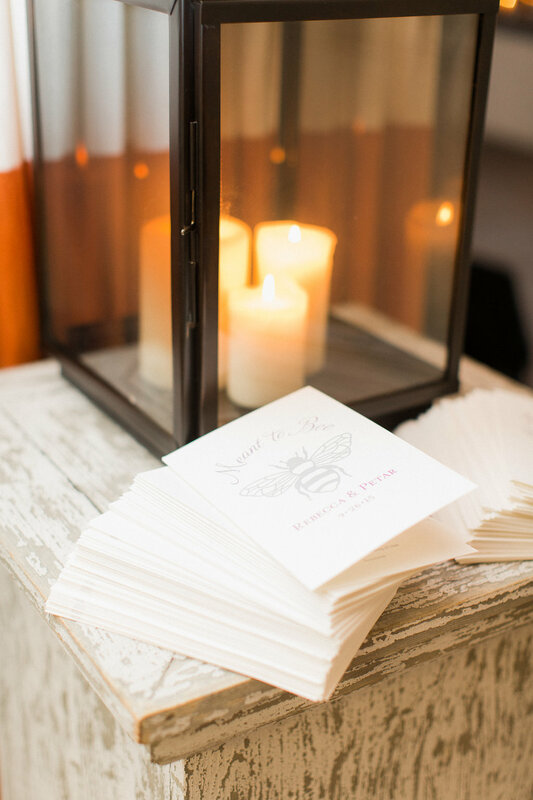 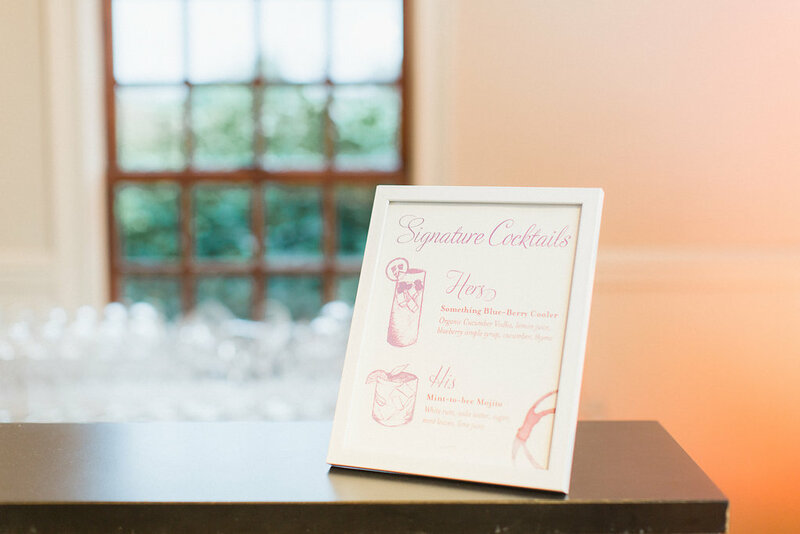 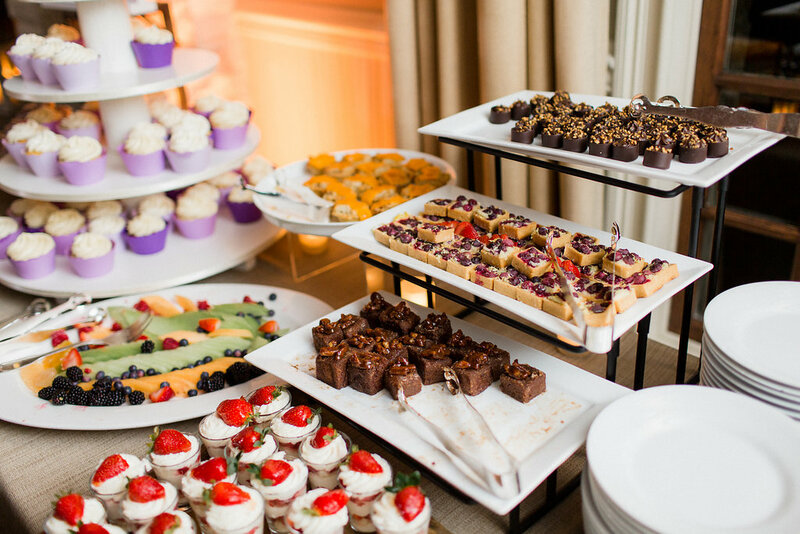 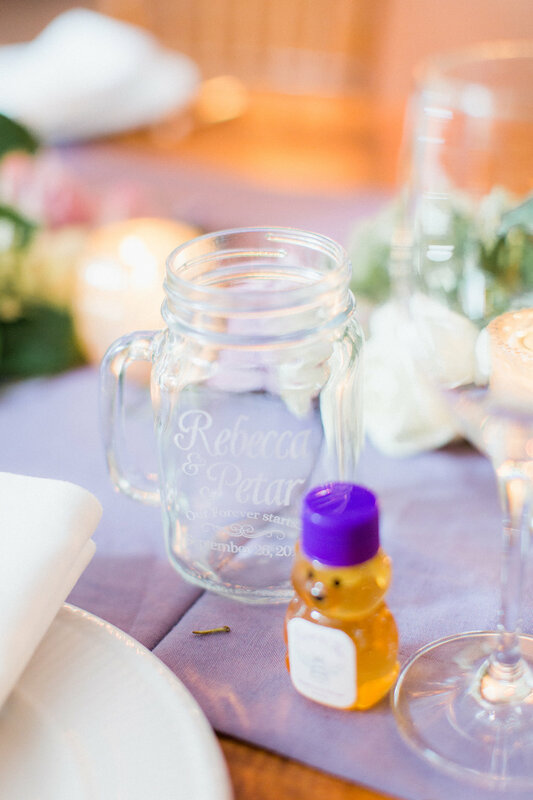 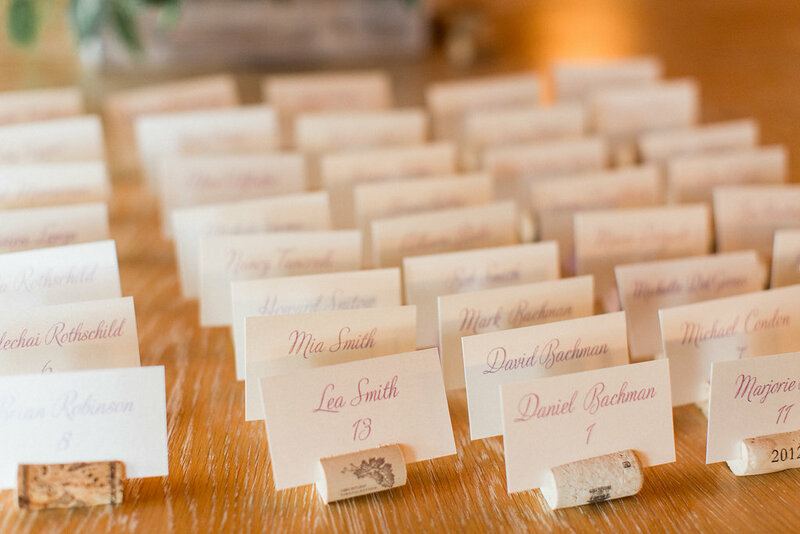 The couple worked with the fabulous planning team at A. Dominick Events when designing their wedding and they added personal touches throughout including a “meant to bee” theme with mini honey favors for guests that came from the bride’s family bee hives. 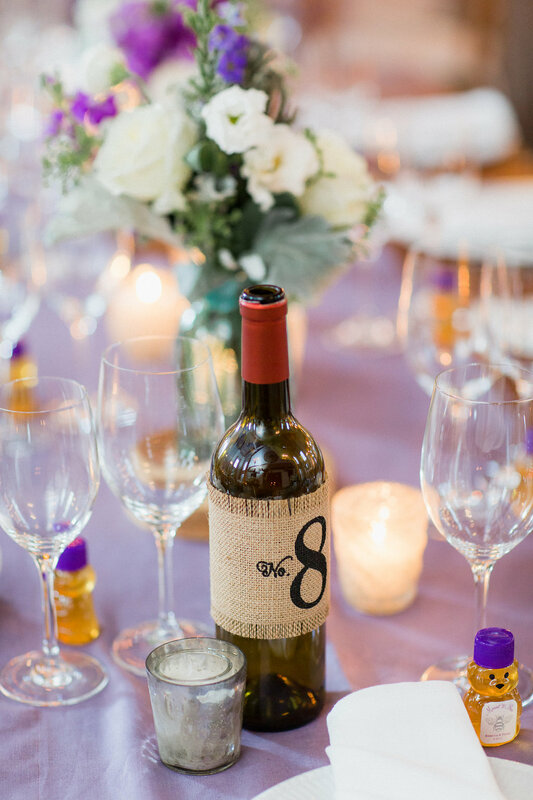 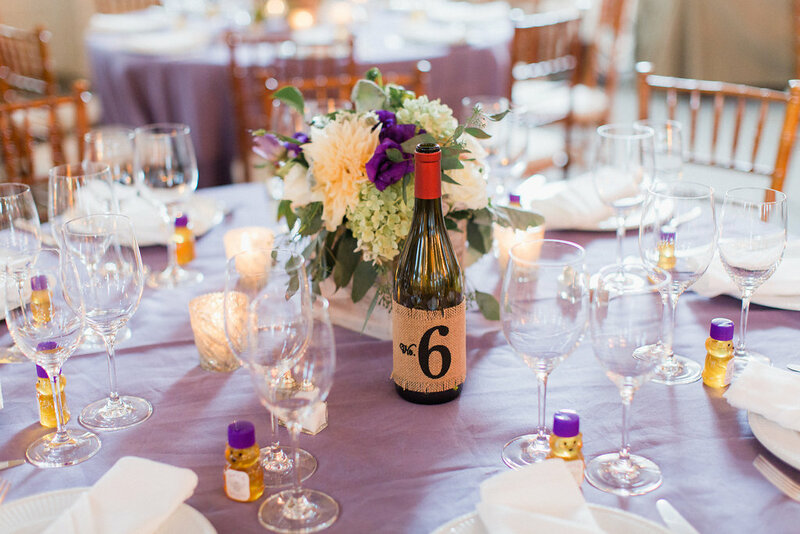 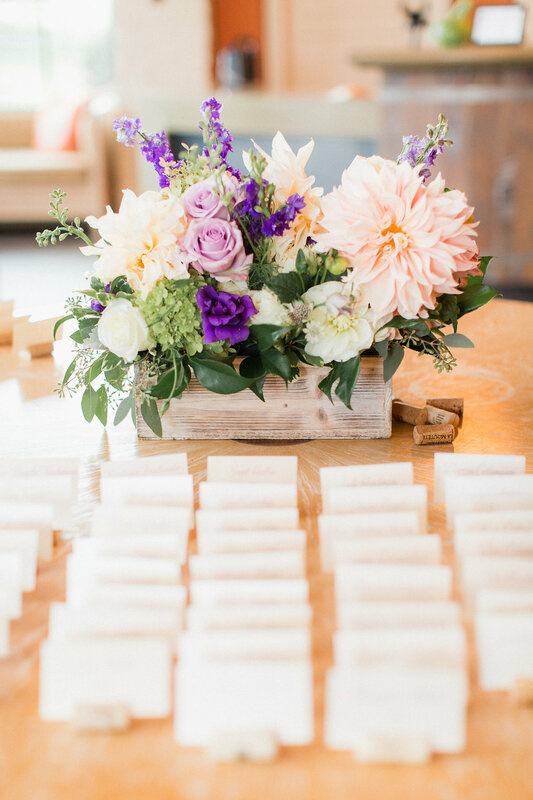 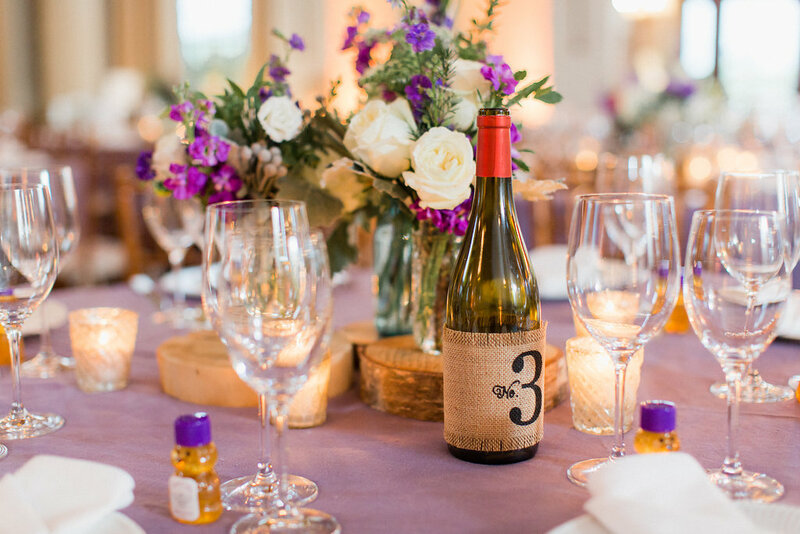 We loved the way they incorporated a rustic atmosphere within their reception with a mixture of farm tables and rounds complimented by loosely textured florals and wine bottle table numbers. 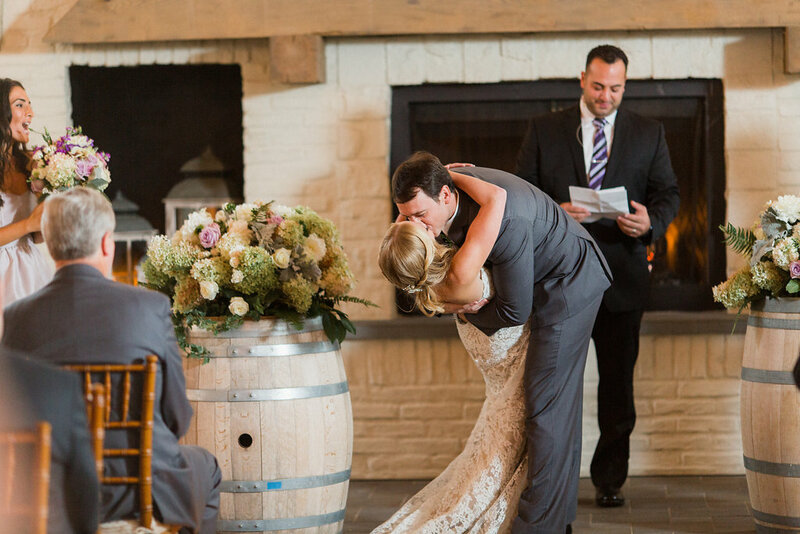 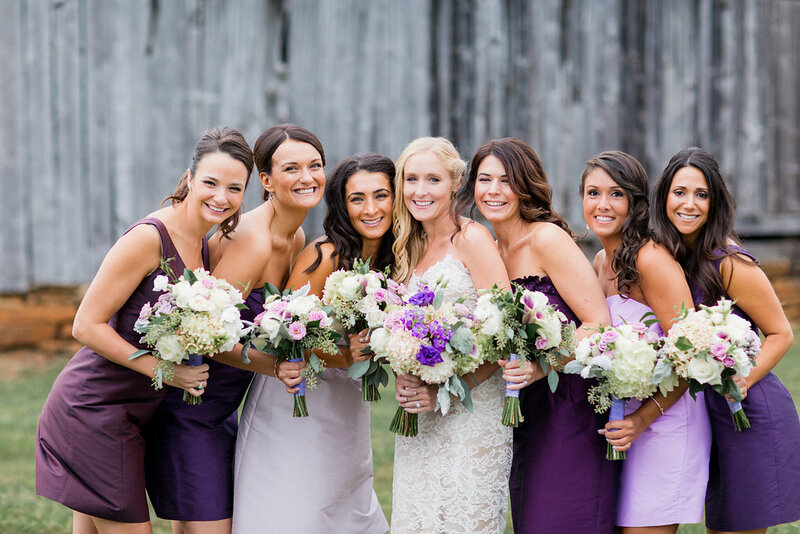 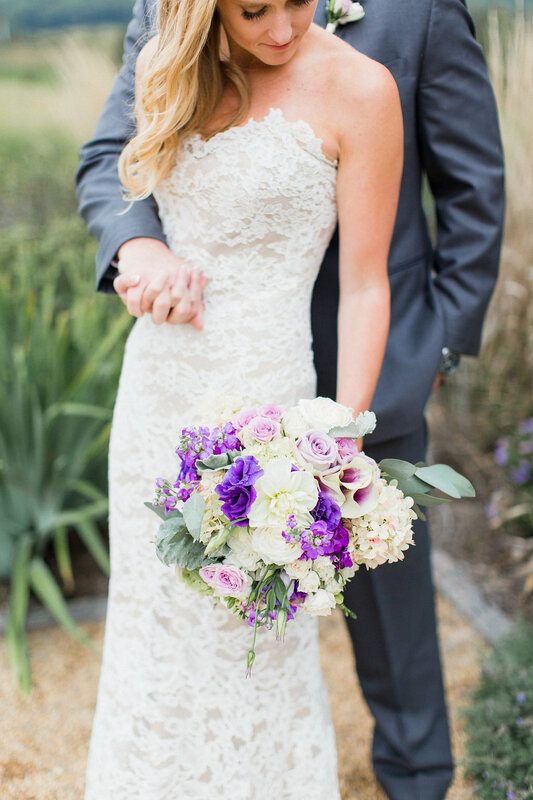 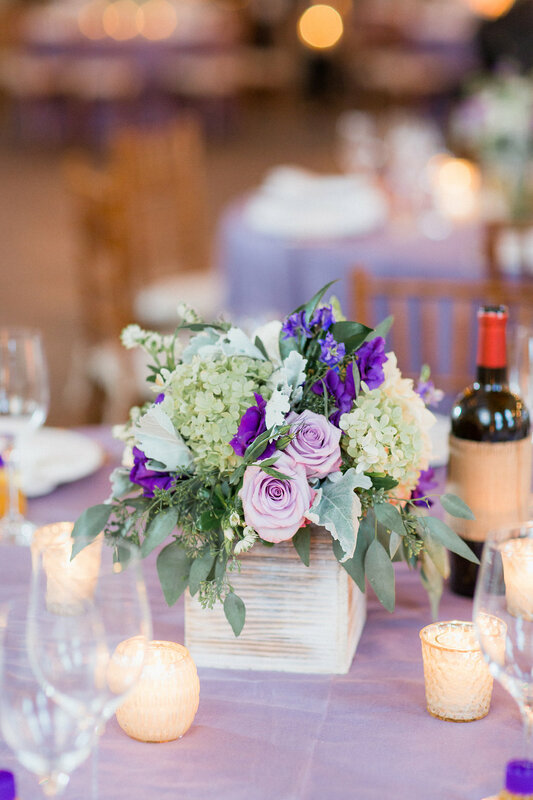 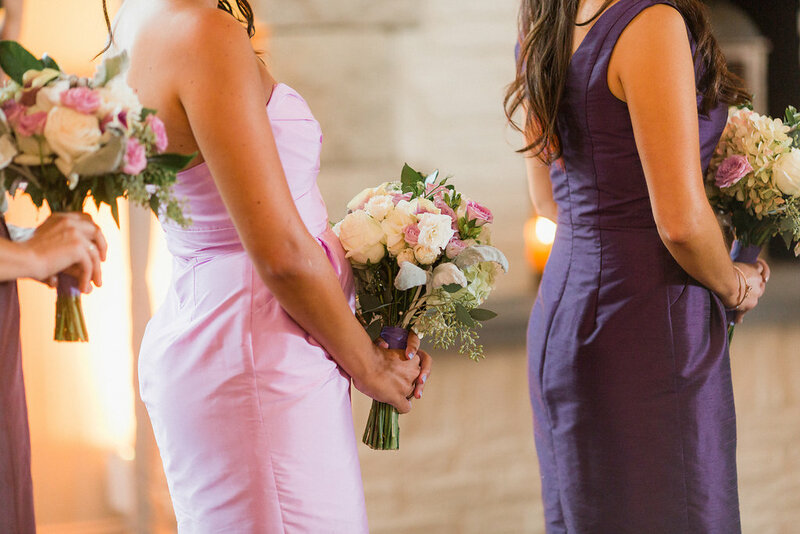 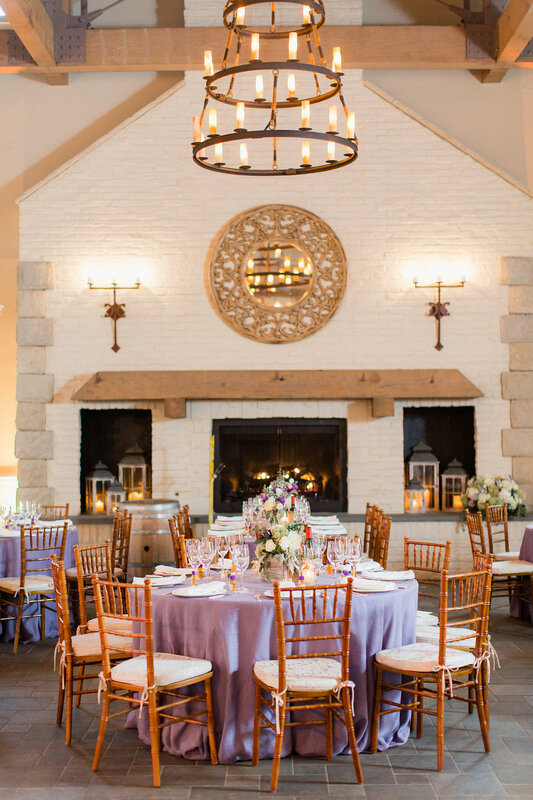 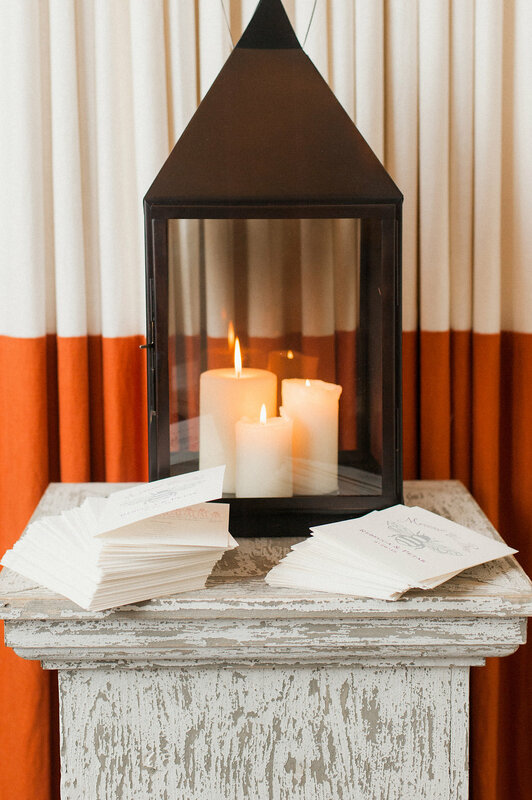 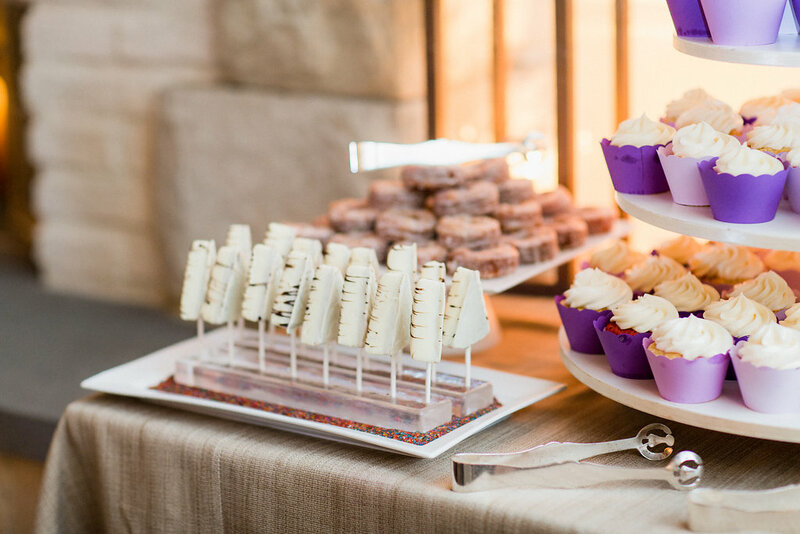 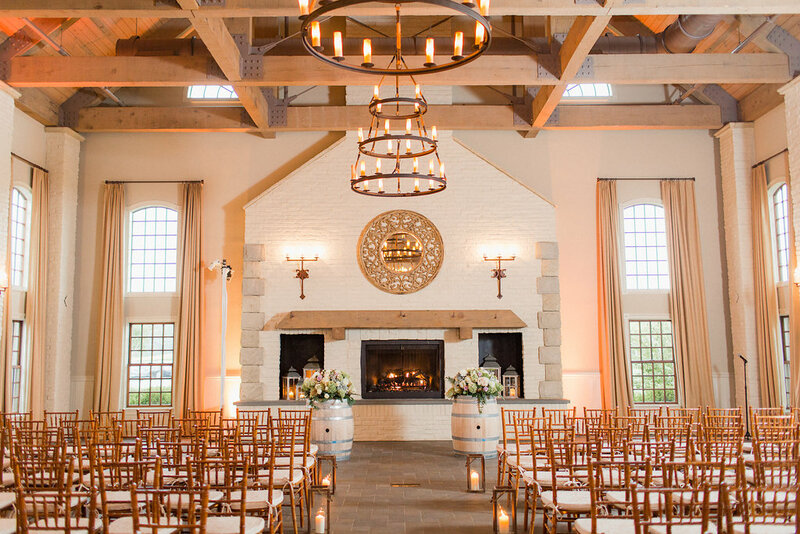 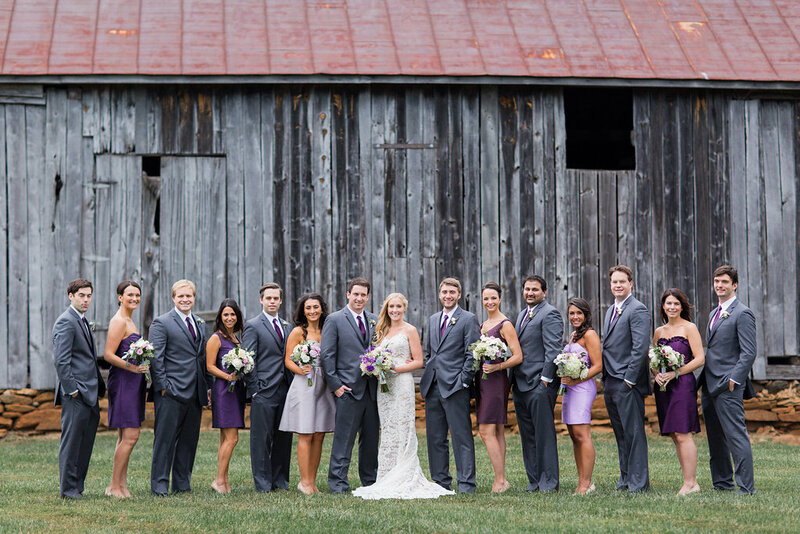 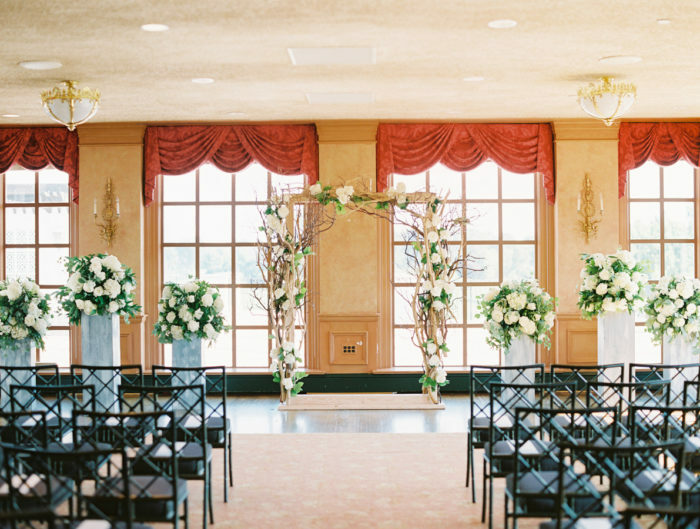 Thank you to A. Dominick Events for sharing this charming wedding with us!